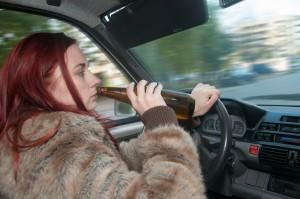 Driving under the influence of drugs or alcohol is illegal in all 50 states. Any driver in Georgia who is intoxicated or has a blood alcohol content of .08 or greater can be arrested for drunk driving. However, despite laws prohibiting drunk driving, people still do it every day, putting themselves, their passengers, and other drivers in danger. If you or someone you love has been injured or killed in a drunk driving accident, you understand the devastation that arises when you realize that the crash, injury, or death could have easily been prevented. Although no amount of compensation can bring back a family member or heal your injuries, holding the other party liable for your condition can help you to obtain the financial means necessary to cover medical expenses, lost wages, and other damages resulting from the crash. According to Mothers Against Drunk Driving, Georgia has excellent enforcement of its laws pertaining to drunk driving. However, it is one of a handful of states that does not allow the use of ignition interlocks for first-time offenders. While any type of car crash can be devastating and cause permanent injuries or death, a drunk driving accident is particularly detrimental to those involved, as drunk drivers are often unable to react quickly enough to swerve or avoid crashing into another vehicle at the last moment. Injuries sustained in drunk driving crashes can range from mild to severe, but many can cause significant pain and lifelong complications for victims. In some cases, an individual may be permanently disfigured, paralyzed, or hurt in a way that will limit his or her ability to work. Those who have been injured and are suffering from a drastic reduction in their quality of life may consider pursuing a claim against the party responsible to seek compensation for lost wages, loss of earning capacity, pain and suffering, and medical expenses such as long-term care, rehabilitation, therapy, treatments, or surgeries. Additionally, in the event that a drunk driving accident causes a fatality, the surviving family members may be eligible to pursue a claim for loss of consortium or companionship, medical expenses, funeral or burial costs, or loss of income if the decedent was the primary wage-earner of the household. Those who have been adversely affected by drunk driving accidents are urged to seek legal counsel from an experienced attorney as soon as possible to learn more about their rights and to take the first step to recovering the damages to which they may be entitled. At Van Sant Law, we pride ourselves in helping those who have been injured. If you or a loved one is suffering from a drunk driving accident, call (404) 991-5950 today, or fill out our free, no obligation online contact form. We will help you learn your options and receive possible compensation for the damages you have suffered.